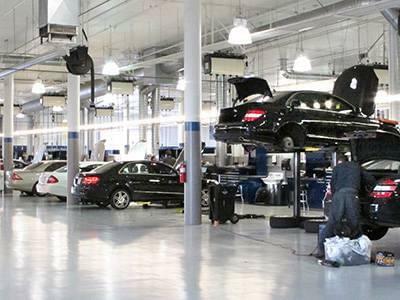 At our Mercedes-Benz dealership near Corona, CA, we can help you with your Mercedes-Benz Service A and Mercedes-Benz Service B maintenance needs. After you reach 10,000 miles it’s recommended that you visit for Mercedes-Benz Service A, and after you reach 20,000 miles, you need to schedule Mercedes-Benz Service B. Learn more about Mercedes-Benz service intervals and maintenance when you schedule a service appointment at our Riverside Mercedes-Benz service center. For all information regarding Service A & Service B please click here. We have plenty Mercedes-Benz service coupons to help you save on Synthetic Motor Oil Replacements (for vehicles MY2008 or older) and other Mercedes-Benz maintenance. If you look at our Mercedes-Benz service specials, you can find an offer that matches the service your vehicle requires. Take a look at which specials we have going on now, and check back frequently because our Mercedes-Benz service offers change often. When you need Mercedes-Benz service or you just need a routine checkup, come to Walter’s Mercedes-Benz of Riverside. You can schedule Mercedes-Benz service at our Mercedes-Benz dealership near Corona and let our technicians handle any tire rotations, wheel alignment, engine repairs or other fixes your vehicle needs. Wondering about Mercedes-Benz GLA service intervals or other model-specific service recommendations? Or, are you looking to buy new Mercedes-Benz tires? Feel free to contact Walter’s Mercedes-Benz of Riverside and ask to speak with a member of our Mercedes-Benz service department. Choose Walter’s Mercedes-Benz of Riverside when your vehicle requires repairs and maintenance. Our Mercedes-Benz dealership near Corona, CA, offers exceptional Mercedes-Benz service to drivers from all over the Inland Empire and beyond. 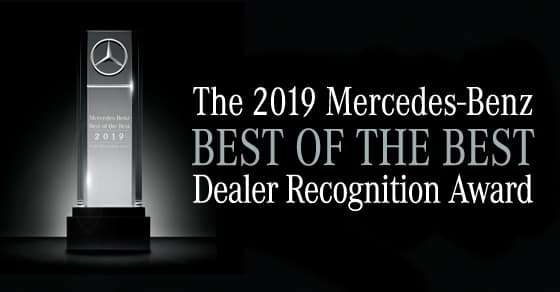 From Mercedes-Benz fluid exchanges to body damage repairs and brake component inspections, no task is too big or too small for the service team at Walter’s Mercedes-Benz of Riverside. Whether you live in the Inland Empire or not, you can drop by for Mercedes-Benz Express Service if you need routine maintenance, or schedule a service appointment for more significant repairs. If you’ve recently been involved in an accident, feel free to contact our Mercedes-Benz Collision Center for timely and thorough repairs as well. No matter what type of service you’re looking for, make sure to explore our Mercedes-Benz service and Mercedes-Benz parts coupons so you can save on your next visit. Bring your vehicle to Walter’s Mercedes-Benz of Riverside for Mercedes-Benz service today.